Prime Minister Justin Trudeau will be in Cambridge next week for a public town hall. 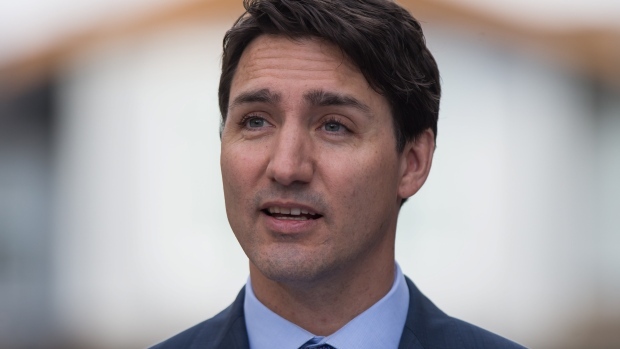 According to Kitchener Centre MP Raj Saini, the prime minister will host the forum at St. Benedict Catholic Secondary School on Saginaw Parkway next week. “Since 2017, Prime Minister Justin Trudeau has kicked off the new year hosting town halls from coast to coast to coast hearing directly from Canadians on how we create good jobs, strengthen the middle class, grow the economy, and ensure more opportunities for everyone,” Saini says in an email. The town hall, hosted by MPs Bardish Chagger, Bryan May, Marwan Tabbara and Saini, will take place on April 16 at 7 p.m. Doors will open two hours earlier. According to the email, access will be granted on a first-come, first-serve basis. “The Prime Minister wants to hear from you about issues that matter,” the email reads in part. Trudeau was last in the region last May to make a funding announcement at the Toyota plant in Cambridge.